During the December / January 2009 convoy to Gaza, we had occasion to find ourselves being driven from Gaza City in the north to Khan Yunis in the south of the Gaza Strip. At one point our driver mentioned the Commonwealth War Cemetery we were passing, and our volunteers – somewhat surprised – asked to see it. We’ve posted a note of it here, both to share a remarkable little corner of Gaza but also to illustrate in just how many unexpected ways it can be deeply rewarding to volunteer on an Aid Convoy. 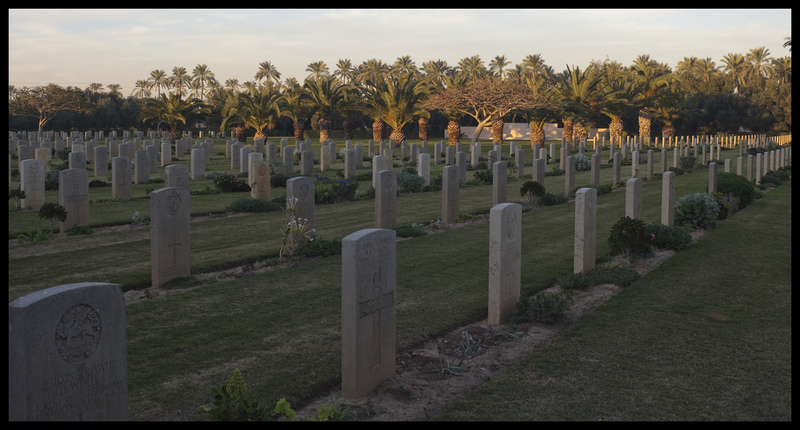 The cemetery had miraculously survived all the upheavals in the region, including naval bombardment, aerial bombing, and mass population clearances. It was still being tended with all the love and care seen in such cemeteries the world over. All the more remarkable though given the difficulty of access to this one for the agencies which usually care for them. The young men tending the garden, late in the evening, had spent the day struggling to rebuild their own food-producing land. 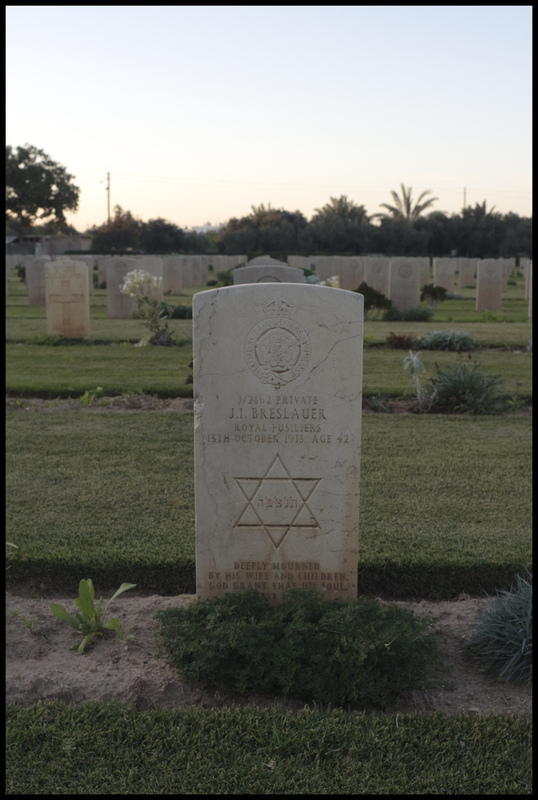 These military graves tend to be marked with religious symbols appropriate to the fallen soldier. It was deeply heart-warming to note that every grave was clearly receiving the same respect and care, without prejudice.